SoftServe ranked ninth out of more than 140 firms in the data analytics category. AUSTIN, Texas – Nov. 19, 2018 – SoftServe , a leading digital authority and consulting company, announces it has been named a top data analytics consulting company in Ukraine for its high-quality service in technology transformation consulting by Clutch, a leading B2B research, ratings, and reviews company based in Washington D.C. SoftServe ranked ninth out of more than 140 firms in the data analytics category. 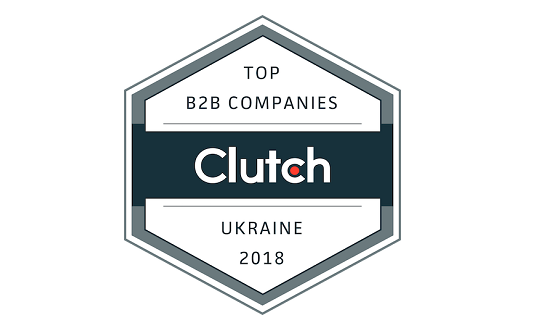 Clutch determines its industry leader rankings by using a methodology that evaluates companies based on industry expertise and the ability to deliver. Additional criteria includes services offered, types of clients, case studies, brand reputation, and visibility within the target market. Offering a lean, agile approach that delivered new iterations every two weeks. Addressing the human elements and building career-long relationships. Additionally, SoftServe was recognized as a Top IT Services Provider in Germany by The Manifest, Clutch’s sister website, that covers business news and industry lists.